MacLaren McCann's GMC carnival game at the Calgary Stampede had players shooting water cannons at targets to lift full size trucks into the air, but nothing document the excitement. That's where Oddly came in. We attached our own photobooth solution to the Sierra ProShot game and watched it take & share thousands of photos of players in two busy weeks at 'The Greatest Outdoor Show on Earth'. Existing sports cameras were waterproof, but couldn’t be programmed to meet the needs of the installation which called for embedding photos inside of old western-style ‘WANTED’ posters and sharing them via Twitter & SMS. Oddly came up with a solution using Raspberry Pis and custom software built on open-source libraries and frameworks. The hosts started the game & photobooth session with two physical button presses. For the next minute, players sprayed targets with their water cannons and trucks rose into the air, and our four Raspberry Pis mounted above the four targets took photos. 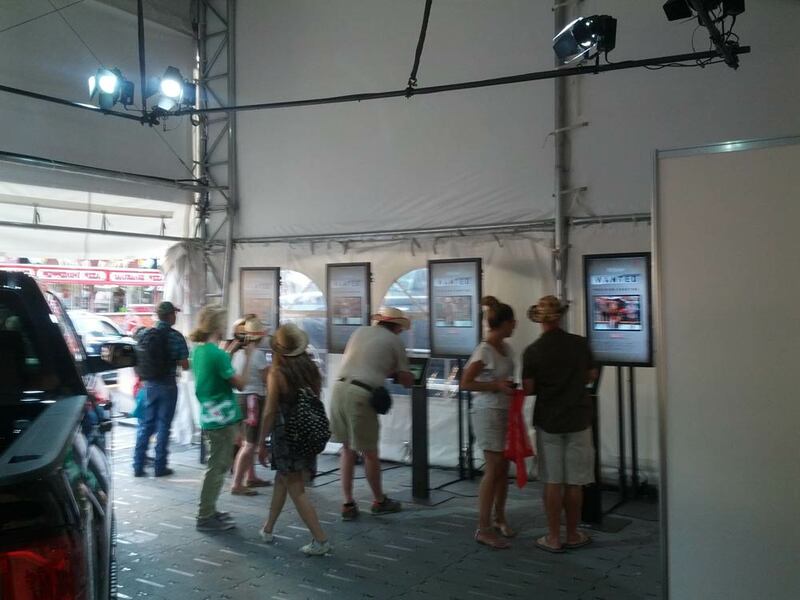 Behind the scenes, photos were uploaded to the Linux server and placed in web pages displayed on the four big screen TVs and iPads in a tent beside the game. Once a truck rose to the top, the players were lead to the big screen TVs and iPads to see their portraits embedded in western-style 'WANTED' posters. They could use the iPad to select their favourite action shot, and then text it to someone or share it on Twitter. Behind the scenes, our Linux server used PhantomJS, Node.js, the Twilio API, and Twitter API to serve webpages, apply effects to the photos, and send them where users wanted them. Over 10,000 photos of players were snapped and viewed by players, leading to laughs and memories. The Oddly crew members even bought cowboy hats. 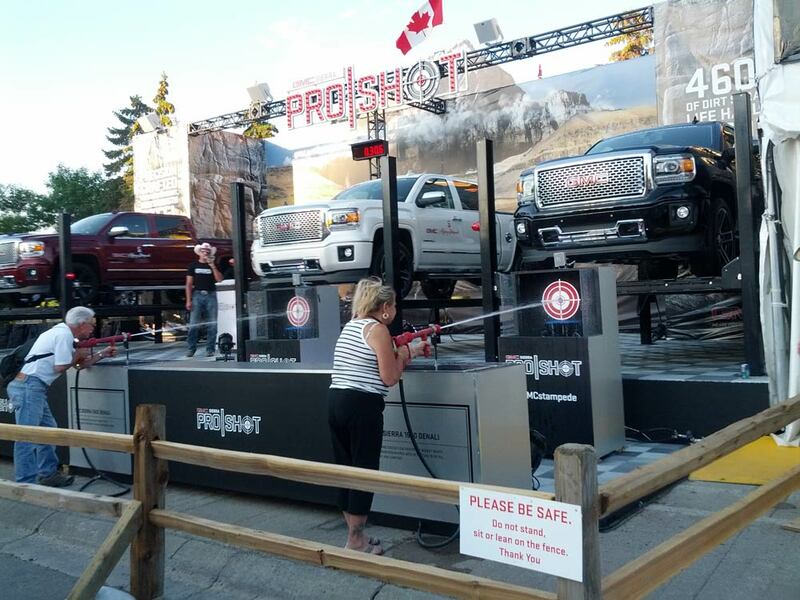 GMC ProShot is the 2015 winner for the best partner exhibit at the Calgary Stampede… awesome!